The price of crude oil has moved to new session lows on the back of the comments. The front contract is currently trading at $52.53 up $2.75 or 5.42%. 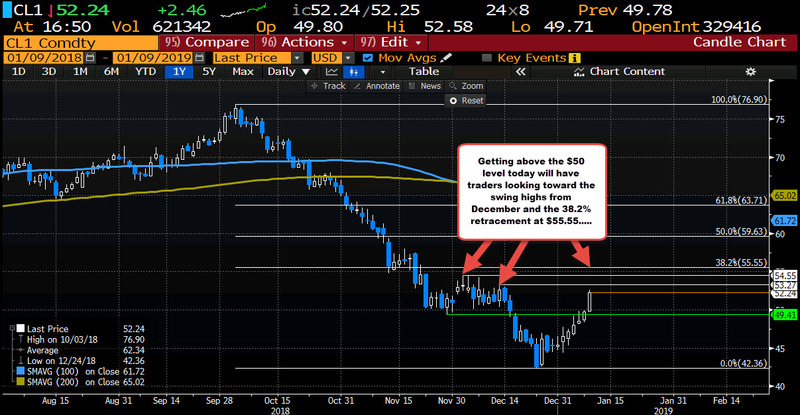 Looking at the daily chart below, the price is moving up toward the December swing highs at $53.27 and $54.55. The 38.2% of the move down from the October high comes in at $55.55. Those are the next targets on more upside momentum.